Most of us don’t like exams and revision, but preparation is the key to getting those top grades. We know firsthand that keeping on top of things can be tough, especially during this festive period. 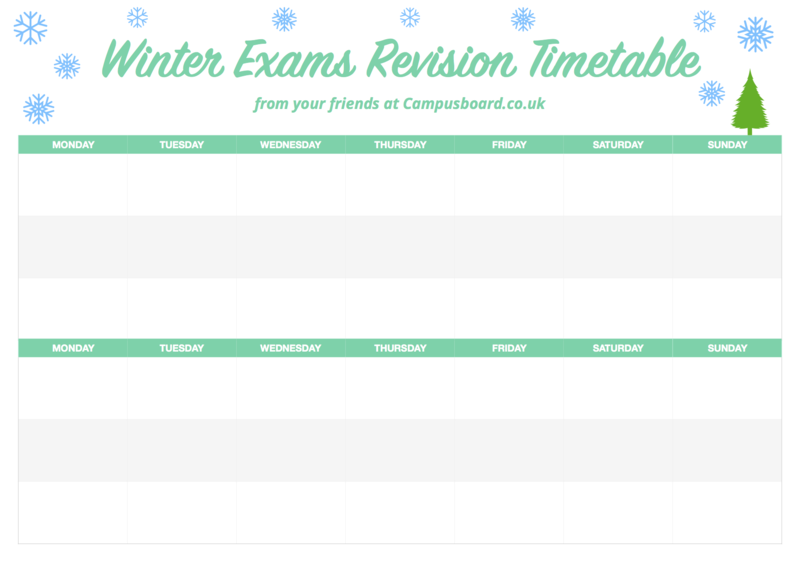 That’s why we've put together these useful exam and revision timetables, so you can stay organised and ace the upcoming exams! One of the biggest issues students run into when it comes to revising is structuring their days. 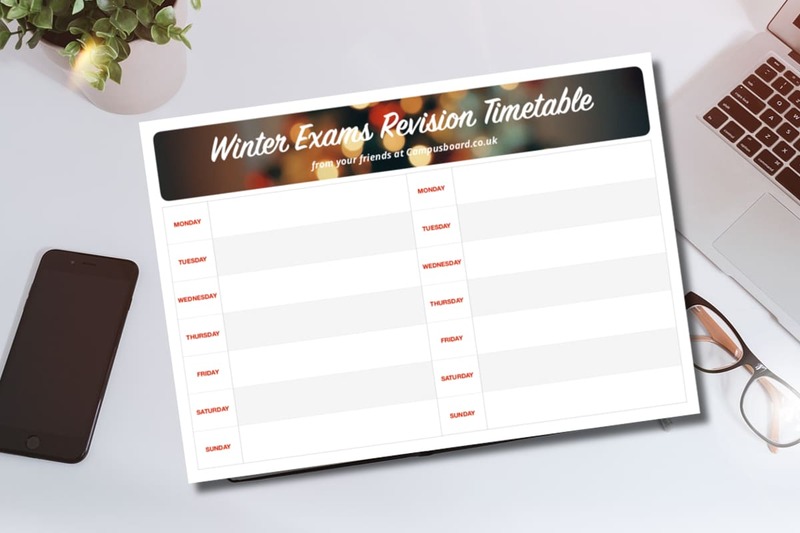 Our exam planners help you see the full week ahead at a glance and give you plenty of space to plan each day. Print as many of these as you wish, and feel free to write in days of the month next to each weekday! Don’t have a colour printer? No problem. Check out this simpler version that still has all the Christmas vibes that one needs! Some of us prefer a more vertical approach. If you fall into this bunch, we’ve designed a slightly different version for you. Download it here and its plain version here. Do you have any tips and tricks when it comes to exam revision? Share them with others in the comments and tell us which which exam planner you liked the most! 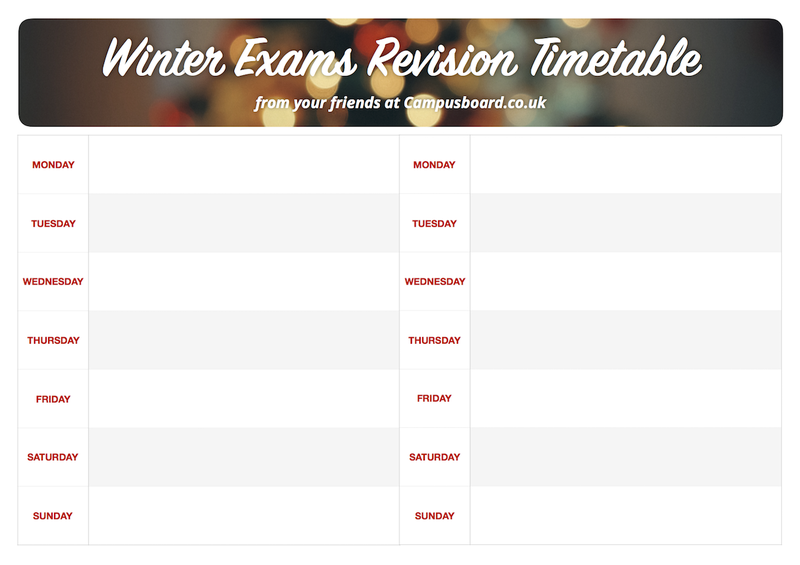 Additionally, if you have a friend that is struggling with their revision, share this post with them!